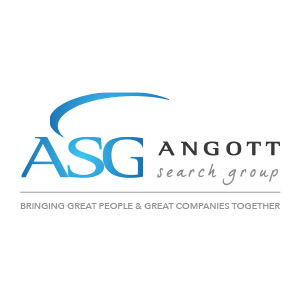 Angott Search Group has partnered with their banking client in their search for a Small Business Banking Business Development Officer. This position is responsible for identifying and engaging new business opportunities for the bank. Develop “out of the box” sales strategy and tactics focused on developing new business, primarily via utilizing DDA and Deposit Fee-Based products as an entree. Utilize various customer sales methods daily (cold calling, presentations, etc). Create, manage, and prioritize a pipeline of current prospects and existing customers always. Sourcing new sales opportunities through inbound lead follow-up and outbound cold calls and emails. Maintain activity daily in CRM. Provide business banking sales expertise to prospective Small Business Customers. Clearly understand, develop, and manage the sales process from identification of leads to the execution of documents to ongoing support of the accounts while working in conjunction with the SBBSM, BM, C&I, and Retail teams. Develop effective revenue-generating business development opportunities. Regularly provide field-originated market intelligence and feedback to the Regional SBM regarding trends, industry needs, and customer preferences that assist in marketing and planning of initiatives to develop both new and existing accounts. Travel market wide to meet clients at their facilities. Onsite presentations and meetings will be required. Track record of over achieving quota. Create effective and robust sales presentations. Perform duties under frequent time pressures. Preferred Bachelor’s degree with emphasis on Finance, Business, or Technology. Requires 3 or more year’s sales experience with a demonstrated track record of achieving and surpassing quota. Requires knowledge of Microsoft Office.